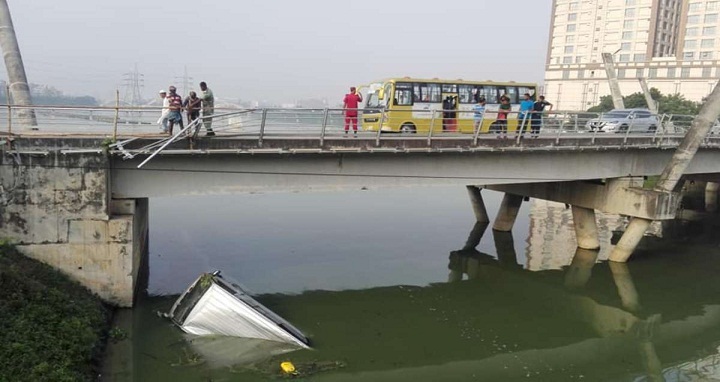 Dhaka, 15 September, Abnews: A microbus plunged into Hatirjheel lake in the capital on Saturday morning. The incident occurred at around 10 am, breaking the railing of a bridge, Fire Service and Civil Defence headquarters sources said. The driver managed to come out of the vehicle. On information, two fire-fighting units rushed to the spot and pulled the vehicle out of the lake around 12pm.